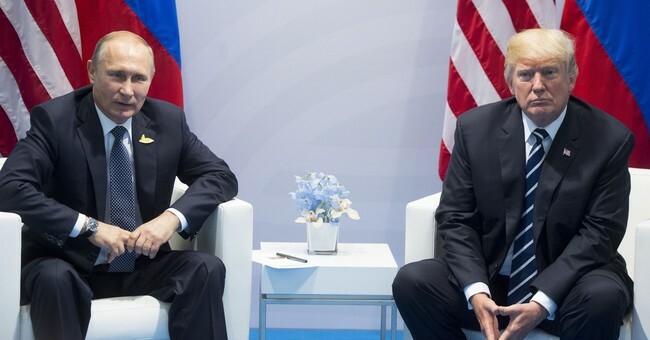 President Donald J. Trump is scheduled to meet with Russian President Vladimir Putin tomorrow in Helsinki, Finland, but the commander-in-chief predicts that ‘no matter how well [he does]’ at the summit, that America’s mainstream media will still criticize him. President asserted that he could be "given the great city of Moscow as retribution for all of the sins and evils committed by Russia" but then would return to "criticism that it wasn’t good enough – that I should have gotten Saint Petersburg in addition!" He also added that as the "enemy of the people" the news media is responsible for so much of the "hatred and dissension in our country." These tweets today come after numerous messages from the president pondering why President Obama was not receiving more criticism for his previous actions with Russia. Yesterday, President Trump questioned why President Obama did not do more to stop the 12 Russian nationals indicted on Friday from interfering in the 2016 presidential election. He also added that the Fake New Media would not report the truth on the subject.